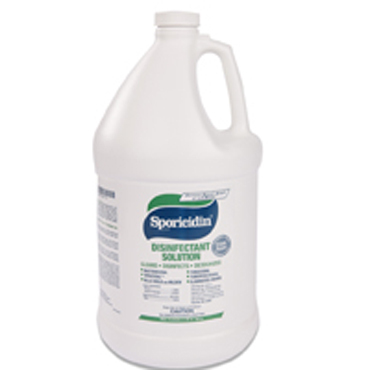 Mediclean (Microban) Disinfectant Spray Stops Odors Two Ways. Mediclean (Microban) Disinfectant Spray kills allergy and disease causing germs, odors, mold and mildew. Mediclean (Microban) Disinfectant Spray is “Your best investment after cleaning”! Mediclean (Microban) Disinfectant Spray offers simultaneous protection against germs, odors, mold and mildew wherever they are a problem. Effective when used as directed in decontaminating bedding, mattresses, textiles, drapes, upholstered furniture, rugs, carpets and storage areas. Disease causing bacteria, fungi and viruses cause illness and threaten our health and well-being. The destructive action of mold, mildew, fungi and bacteria on materials often results in damaged or destroyed materials and unpleasant odors. Unlike chlorine bleaches, the Mediclean (Microban) Disinfectant Spray formula is pH balanced and is non-corrosive. Mediclean (Microban) Disinfectant Spray has been rigidly tested under government recommended procedures by internationally renowned testing laboratories, universities and hospitals. Mediclean (Microban) Disinfectant Spray testing ensures its safety to you, your family, your pets and, your customers and the environment. Mediclean (Microban) Disinfectant Spray is registered with the United States Environmental Protection Agency. Industrial Hygienists and environmental consultants have learned to trust Mediclean (Microban) and commonly specify Mediclean (Microban) Disinfectant Spray when they provide guidance and prepare microbial remediation protocols. Mediclean (Microban) Disinfectant Spray has been rigidly tested for efficacy and toxicology under strict governmental guidelines. Mediclean (Microban) Disinfectant Spray has been job tested on thousands of water damage and microbial remediation projects performed in residences, businesses and institutions. 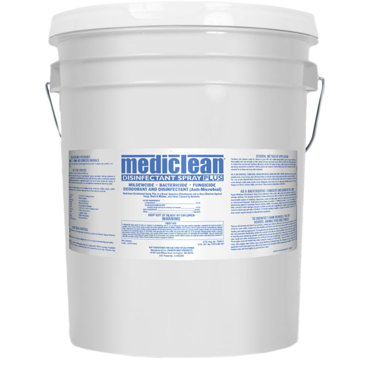 Leading disaster restoration and microbial remediation firms depend on Mediclean (Microban) Disinfectant Spray. Mediclean (Microban) Disinfectant Spray is suitable for application to a wide range of materials and surfaces. Mediclean (Microban) Disinfectant Spray is strong enough to destroy harmful disease causing microorganisms while gentle enough to be applied to delicate textiles, carpets, rugs, antiques and sleep surfaces. Mediclean (Microban) Disinfectant Spray is suitable and approved for use within residential, commercial, industrial and institutional properties. 1. Mildew, sickroom, nursery and even some pet related odors are caused by bacteria. 2. Mediclean (Microban) Disinfectant Spray kills the organisms which cause these odors. 3. Not all odors are caused by bacteria. Mediclean (Microban) Disinfectant Spray contains an exclusive odor counteractant which is effective on food and other non-bacterially related odors. While cleaning removes visible contamination, significant quantities of microorganisms are often left behind. An application of Mediclean (Microban) Disinfectant Spray after cleaning destroys many of these microorganisms, thus preventing them from multiplying. The Mediclean (Microban) Disinfectant Spray formulation contains high levels of active ingredients, that destroy microorganisms upon application and then provide residual protection against odor causing microorganisms. The exclusive Mediclean (Microban) Disinfectant Spray formula was originally developed in 1962 to quickly and effectively disinfect hospital operating rooms. Currently, Mediclean (Microban) Disinfectant Spray is widely used in residential, commercial, institutional and industrial properties. Mediclean (Microban) Disinfectant Spray’s unique formulation is patented in the US, Canada and other countries. Mediclean (Microban) Disinfectant Spray is a water-based non-flammable ready-to-use product, which gives protection against germs, odors, mold, and mildew: Optimum conditions for the growth of most mold on carpet and other surfaces are dark, damp, and warm. For water damage, sewer backups, toilet overflow, pipe breaks, health protection after routine cleaning and odor problems. Anti-microbial action kills allergy and disease-causing germs, bacteria, fungi, mold, and mildew. Suitable for hospital and health care institutions, animal care facilities, etc. Mediclean (Microban) Disinfectant Spray does not kill Parvovirus! See Sporicidin® which does kill Parvovirus. If used on stain-resistant nylon carpet, the stain protection warranty is voided. May not be shipped via air! Cannot be shipped to California or Canada! For California, use Sporicidin instead! Some states require that the person professionally applying anti-microbials be state-licensed. Storage: Protect product from freezing. Keep containers tightly closed in a cool, well-ventilated place when not in use. Keep away from heat. Keep in properly labeled containers. Size: Single gallons and 5-gallon pails. Flammability: Flash Point Approximately 102°F. Catalog Numbers: 32510 and 32515. 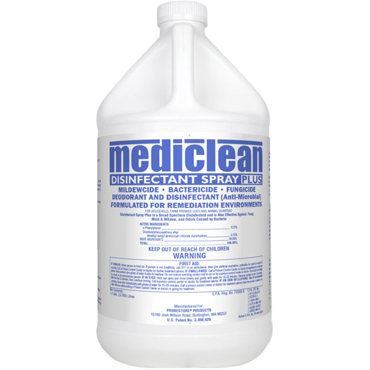 We have had very large orders for Mediclean (Microban) Disinfectant Spray to deal with the mold and mildew. Bleach has limited effectiveness against mold and also emits harmful chemicals into the air, especially if mixed with anything else. Many individuals and companies working in wet or flooded areas are using the wrong products such as bleach and not following safety precautions - see the Safety Data Sheet on Mediclean (Microban) Disinfectant Spray and the label for Mediclean (Microban) Disinfectant Spray. Mold can grow on water-damaged surfaces in as little as 24 to 48 hours. In flood situations, take steps to dry affected areas as quickly as possible. Remove excess water as soon as possible. Some web sites say to use fans to circulate and absorb moisture in the air - this will just circulate the mold spores everywhere else! Throw out all water-logged and mold-infested materials that are replaceable, such as carpeting or ceiling tiles. If drywall has absorbed water, the drywall should be cut out 12 inches above the water level and replaced once the room has dried out. Wet foggers can be used to treat large or inaccessible spaces such as basements and attics. Foggers are available for rent at home improvement stores in the tool rental department. Run a dehumidifier to take additional moisture out of the air. Lastly, help prevent future mold growth by applying Mediclean (Microban) Disinfectant Spray to vulnerable surfaces. Mediclean (Microban) Disinfectant Spray can also be injected into the carpet backing and pad with the Multi-Sprayer Injection needle or the Injection Kit to reach contamination. Surfaces and objects must be cleaned of gross filth with suitable detergent before treatment. Spray surfaces and articles until thoroughly wet, use enough so that treated surfaces and objects remain wet for at least 10 minutes. May be applied with a sponge to impervious covers and surfaces, allowing to dry for 10 minutes. For fogging and other large volume applications, use appropriate spraying equipment, protective clothing, gloves and respirator. Heavily treated spaces should be adequately ventilated and not re-entered for at least one hour after treatment. (Kills most gram negative and gram positive bacteria and influenza virus). In schools, hotels, motels, restaurants, offices homes and industrial buildings. For use on pre-cleaned hard non-porous surfaces such as tiled porcelain, waste receptacles, compactors, on, in and around rest room fixtures, toilet seats, locker rooms, telephones, door knobs, hospital apparatus and equipment, furniture and empty containerized storage units. For athletes foot fungus on floors, shower stalls, rest rooms. Follow method of application specified above. Do not use on medical devices. Apply Mediclean (Microban) Disinfectant Spray Plus as directed to floors, walls, ceilings that have been damaged by smoke, fire, floods and sewage backups. For cleanup operations in areas such as attics, wall voids, basements, areas above suspended ceilings and similar inaccessible spaces in buildings. Spray avian, rodent and other animal human wastes and carcasses as directed above, prior to removal and disposal. Treat spaces and surfaces as specified in method of application. 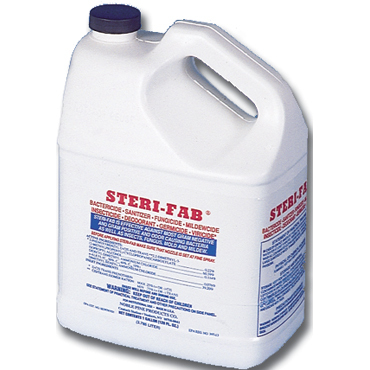 For use as a bacteriostat, fungistat and deodorizing agent on carpeting found in schools, hotels, motels, homes, shelters and commercial, industrial and public buildings. After a flood or water damage, vacuum or extract as much water as possible before application. Apply full strength with sprayer until moist to carpet nap and rake or brush in. To treat the backing and padding, a fogger is recommended. Allow to remain until dry. For best results, carpets should be cleaned before application. 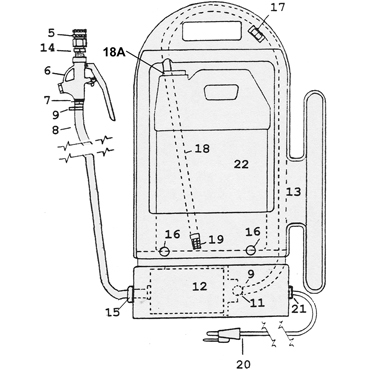 This product is not to be used as a terminal sterilant/high level on disinfectant on any surface or instrument that (1) is introduced directly into the human body, either into or in contact with the bloodstream or normally sterile areas of the body or (2) contacts intact mucous membranes, but which does not ordinarily penetrate the blood barrier or otherwise enter normally sterile ares of the body. 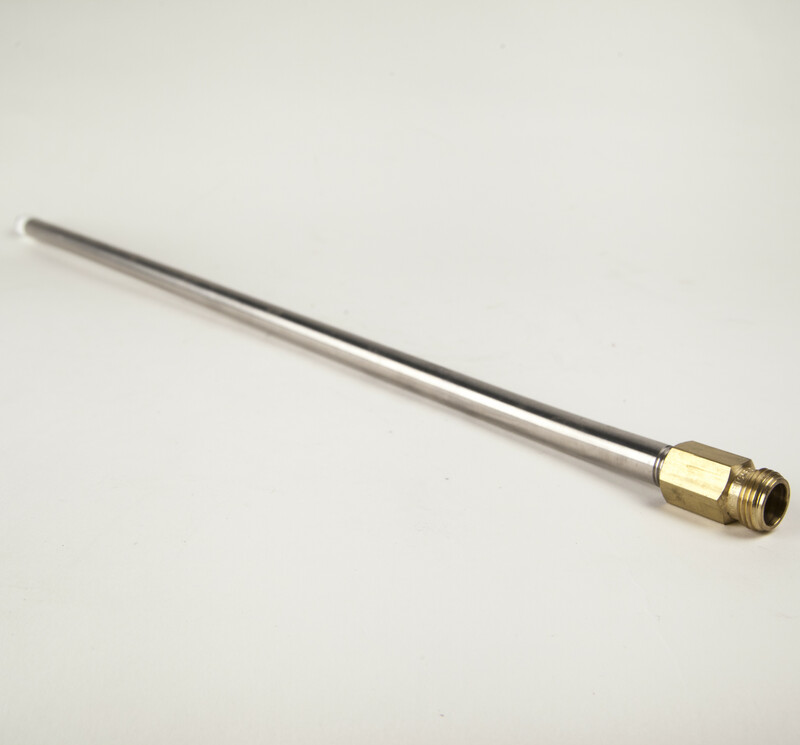 This product may be used to preclean or decontaminate critical or semi-critical medical devices prior to sterilization or high level disinfection.